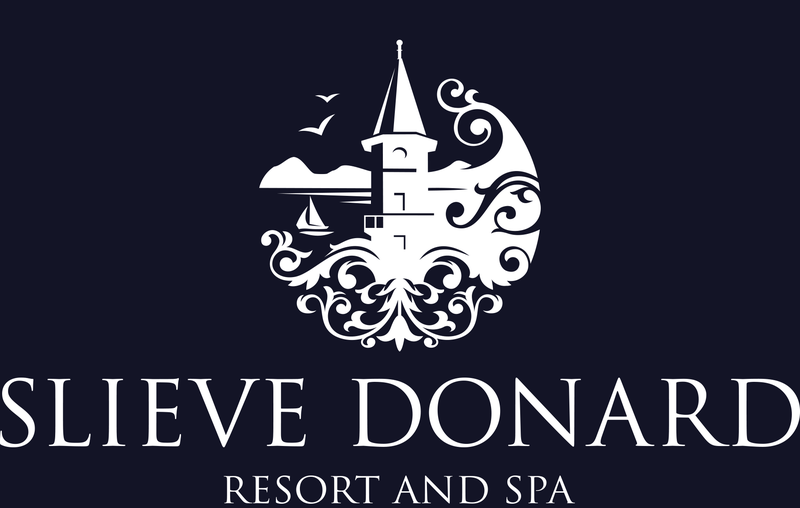 HBO’s award-winning television series Game Of Thrones was filmed in the areas surrounding Slieve Donard Resort and Spa, with cast and crew from the series frequently found relaxing at the hotel. Around County Down you can visit arguably the most iconic scene locations. 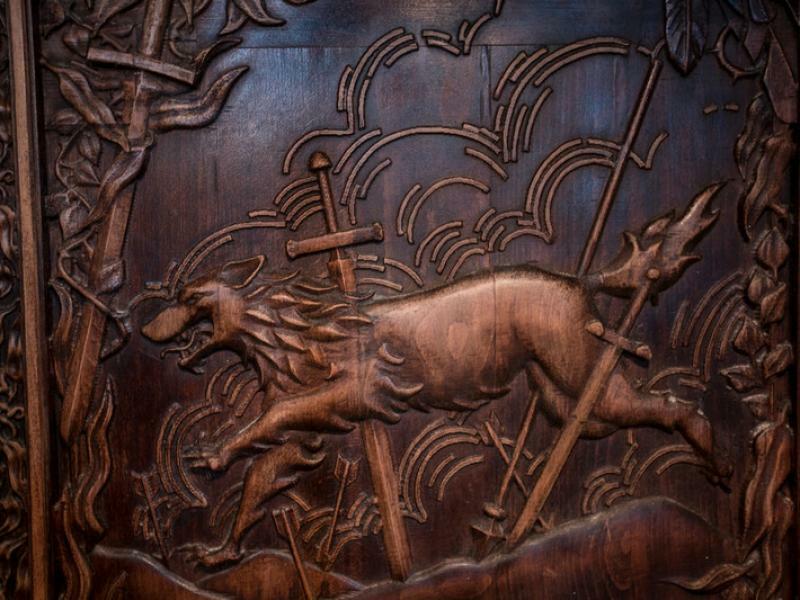 Walk where the White Walkers first appeared (and also where the Starks discovered the direwolves), join Team Stark at Winterfell, take part in the battle at Rob Starks camp, step foot where the 'Red Wedding' unfolded and pay your respects to the Tullys when arriving at Riverrun. When retracing the steps of your Game of Thrones heroes stay at Slieve Donard Resort and Spa. This lovingly maintained Victorian hotel is home to one of Europe’s finest resort Spas and nestles at the foot of the Mountains of Mourne, with key filming locations never too far away including Tollymore Forest Park and Castle Ward. 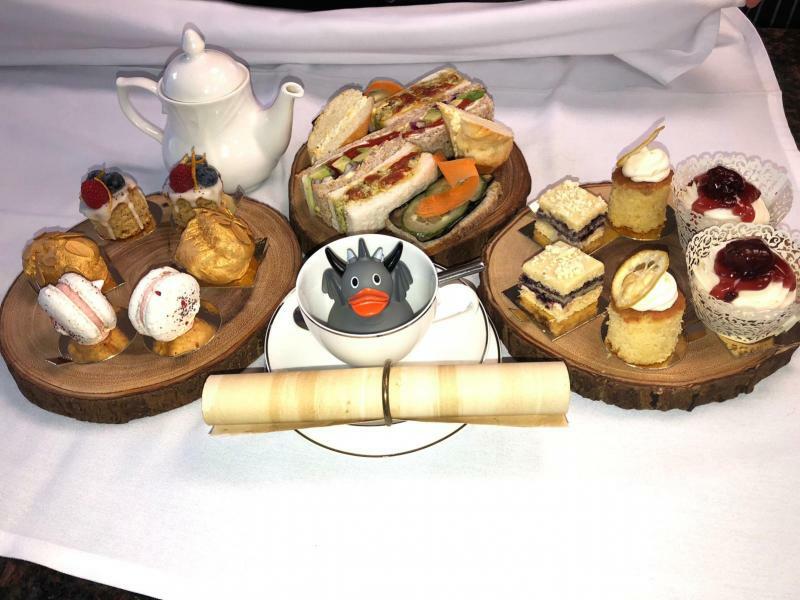 Enjoy a Game of Thrones Themed Afternoon Tea at Percy French - Games of Thrones Hotel Northern Ireland. 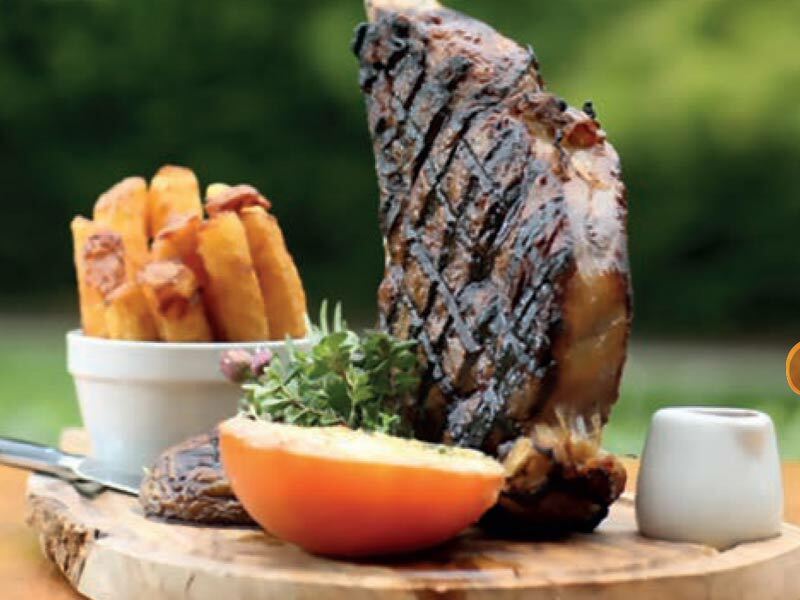 The Night's Watch - Dine and StayFrom £110ppsOvernight stay with Welcome Mead, Tomahawk steak in Percy French, themed turndown and Duck of Thrones. (Option of an upgrade to a sharing medieval feast for an additional supplement). The Iron Throne PackageFrom £375ppsOvernight Suite stay with Welcome Mead, themed Afternoon Tea, private excursion to Winterfell, Tomahawk steak, themed turndown & Duck of Thrones. (Option of an upgrade for a full day at Winterfell). Game of Thrones Afternoon TeaEnjoy a Game of Thrones themed Afternoon Tea at Slieve Donard & receive a complimentary Duck of Thrones. Please give 24 hours notice when booking. To book call 028 4372 1066. Westeros Tomahawk SteakThis unique “Westeros Tomahawk” design steak has been specially prepared for us by local butchers. Served on a wooden platter with a “Valyrian Steel” inspired knife. Game of Thrones DoorVisit our beautiful Game of Thrones door carved from the wood of trees which fell from the iconic Dark Hedges. 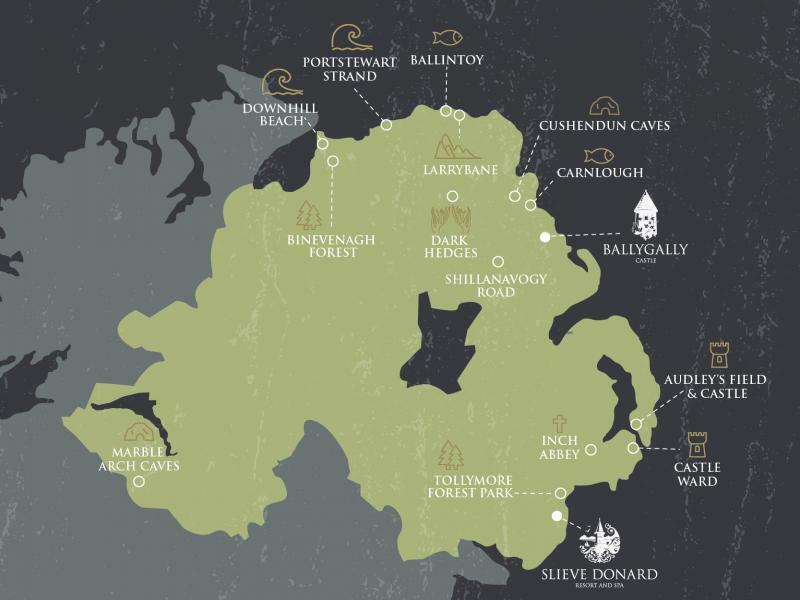 Must Visit Filming LocationsAround County Down you can visit arguably the most iconic scene locations, from the forest that had white walkers & direwolves to Winterfell, the place where the Red Wedding took place and Riverrun. 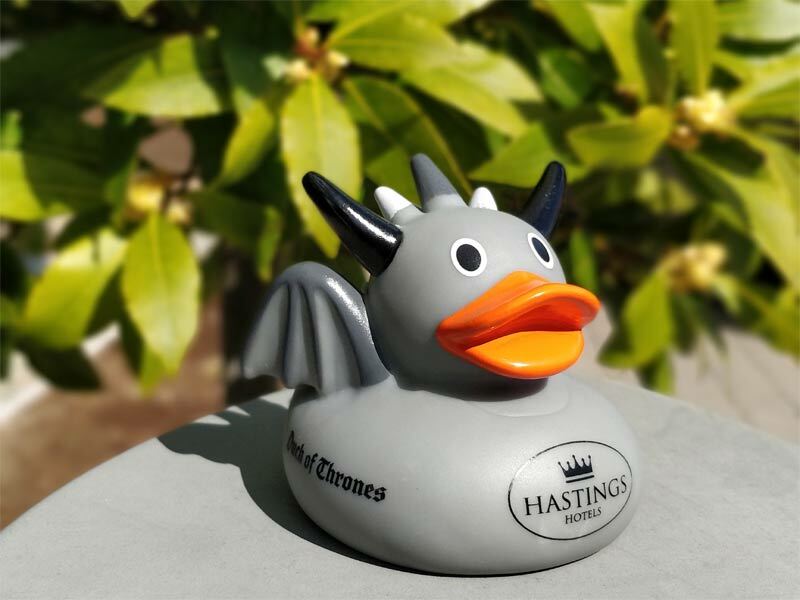 Meet the Duck of ThronesJoin us on our Game of Thrones tours, or enjoy an overnight stay with themed Afternoon Tea and you will receive a complimentary Duck of Thrones to take home.